I finally gave in and read this book after resisting for quite a while. It seemed everybody I spoke to had recommended it and I kind of backed away, thinking after all that hype I’d only be disappointed. I’m happy to say I wasn’t. I was hooked straight away. The basic storyline is this: an old man (Henrik Vanger) has been receiving strange birthday cards from his grand-niece who has been missing, presumed dead for 40 odd years. Before he dies he wants to know what happened to her and so he hires Mikael Blomkvist, an investigative magazine publisher to investigate the case. After a while, Blomkvist realises he needs an assistant and so hires Lisbeth Salander – an expert computer hacker. Ok, so the basic premise is a bit of a whodunit – a classic investigation story into a shadowy family history. 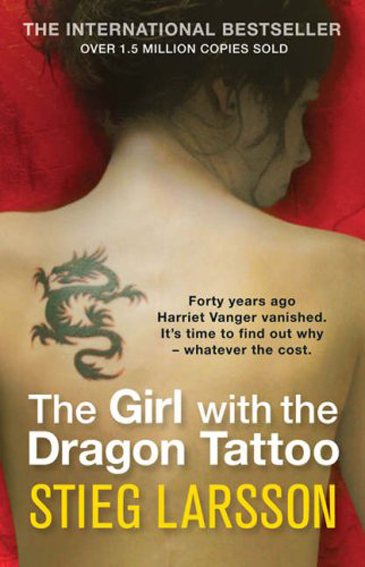 What makes this book stand out is Salander. She is a wonderful creation, anti-social misfit that she is. Declared legally incompetent as a child, she has been under the care of a legal guardian ever since. Initially this is the kindly avuncular Holger Palmgren, replaced after suffering a stroke with the sinister Nils Bjurman, who subjects her to vile sexual abuse. Salander is very introverted and doesn’t make friends easily. In many ways she’s child-like, in character as well as appearance, but she’s also hard as nails and incredibly determined. Her mental state is never clearly defined, perhaps she does suffer from Asperger’s Syndrome, or maybe she’s just so traumatised from her childhood that she has retreated from normal life. It’s a modern take on an old theme, romance and relationships are pretty unconventional, technology is used as a great tool throughout, but don’t worry, you don’t need to understand computers at all to appreciate this, and politics and commerce plays a part too. So basically, what I’m trying to say is this, next time somebody tells you to read this book, listen to them. In this case folks, believe the hype, it’s a very good book. This entry was posted in Authors I-L and tagged Detective, Millenium, Stieg Larsson, Whodunit.